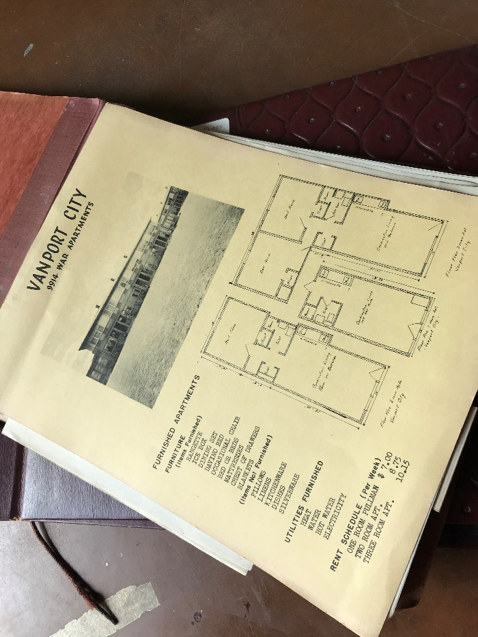 Vanport, Oregon was a wartime public housing project built to shelter Kaiser Shipyard employees working in Portland and Vancouver, Washington. 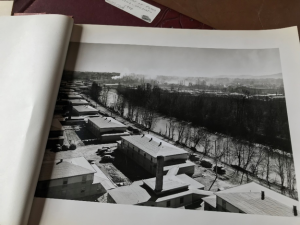 The city was destroyed in May 1948 when a 200-foot section of the dike holding back the Columbia River collapsed during a flood, killing 15 and leaving its population of largely African-American inhabitants homeless. Two photo albums regarding the history of Vanport have recently been made available in Special Collections and University Archives. The Vanport, Oregon construction photograph album (PH203_064) and the Vanport, Oregon flood photograph album (PH203_025) document the city before and after the disaster.